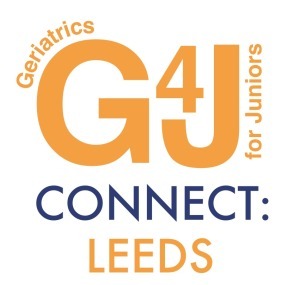 We’re pleased to announce that registration is now open for our second G4J Connect event, which will be held in Leeds on Wednesday 28th January 2015, in Gledhow Wing Seminar Rooms, Level 2, St James’s University Hospital, from 6.00pm to 8.00pm. The programme includes interactive sessions on Syncope, PD management, Interface geriatrics, and a Q&A session on being a Med Reg and how to arrange ‘Out Of Programme Experience’ (OOPE) during your training. The sessions will be practical, engaging and entertaining – if you’re a junior doctor in the region and you look after older patients, you won’t want to miss this! Registration will be free, and places will be allocated on a first-come, first-served basis.